O how clean that soiled wood! O how pure that human flesh! So, here's my post for this day from GK. People are losing the power to enjoy Christmas through identifying it with enjoyment. When once they lose sight of the old suggestion that it is all about something, they naturally fall into blank pauses of wondering what it is all about. To be told to rejoice on Christmas Day is reasonable and intelligible, if you understand the name, or even look at the word. To be told to rejoice on the 25th of December is like being told to rejoice at quarter-past eleven on Thursday week. You cannot suddenly be frivolous unless you believe there is a serious reason for being frivolous. G.K. Chesterton. From Advent and Christmas Wisdom from G.K. Chesterton. 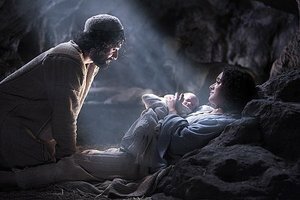 The article from Eugene Peterson, posted below appeared at CT online right before Christmas. I thought it a good piece for this Christmas Sunday. I know, the world has already passed by Christmas and is getting ready for that great holiday, "New Year's Eve". But in the church it is different. We are in a different time zone. For us, it is still Christmas. That is, until Epiphany (the true "Twelve Days of Christmas"). 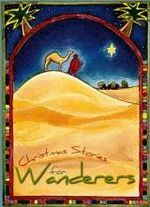 So today, I will join with my community of faith and sing Christmas carols and spend some time in reflection and wonder. Because that first birthday of the new dawn deserves a lot more than a frantic month and one holy night. Birth: wonder … astonishment … adoration. There can't be very many of us for whom the sheer fact of existence hasn't rocked us back on our heels. We take off our sandals before the burning bush. We catch our breath at the sight of a plummeting hawk. "Thank you, God." We find ourselves in a lavish existence in which we feel a deep sense of kinship—we belong here; we say thanks with our lives to Life. And not just "Thanks" or "Thank It," but "Thank You." Most of the people who have lived on this planet Earth have identified this You with God or gods. This is not just a matter of learning our manners, the way children are taught to say thank you as a social grace. It is the cultivation of adequateness within ourselves to the nature of reality, developing the capacity to sustain an adequate response to the overwhelming gift and goodness of life. Wonder is the only adequate launching pad for exploring this fullness, this wholeness, of human life.